In my previous article I wrote that all current irrational beliefs, and behaviors rooted in them, served a perfectly rational purpose some time in the remote past, but they serve no useful purpose in the present time. What we call religion today was in the ancient times a solution for some grave societal problem, which was creating serious chaos in it. In a sense religion was the Constitution of the ancient society. However, even though all religions served useful purposes during the time they were invented they have now themselves become sources of serious conflicts, chaos and destruction in the world. This is an example of how a solution for a serious problem itself could become a problem. Why then does religion exist? Well, once a solution for a problem is found out, it becomes a source of livelihood for the priestly class, who claim custody of the religion. The priests of every religion have developed vested interest in keeping the masses deluded in order to make a comfortable living and enjoy a superior status in the society. This is true of all religions. Even the very educated amongst us can be deluded by their shenanigans. The belief system of Hinduism is characterized by multiple gods, and worshiping these gods by means of Poojas, Yajnas, Abhishekas and thousands of other mindless rituals. These are behaviors meant to please a particular god, either to fulfill one’s desires (wealth, success, power, child, job, etc. ), or for protection from evil (illness, failure, loss, death, etc.). For example, if we ask a Hindu why he worships Ganesha, his ready answer would be something like, “I worship Ganesha because he is Vighneshwara, Lord of Calamities! If I invoke him before my daughter’s wedding ceremony, he will prevent Vighnas (calamities). There is no doubt about it!” Obviously, this man believes that there is some kind of evil lurking out there, which is ready to ruin his daughter’s wedding ceremony, and he has been brainwashed into believing that he is totally helpless to prevent it. He never bothers to ask himself, “What is this evil that could ruin my innocent daughter’s wedding? Why should I feel so helpless against anything going wrong? 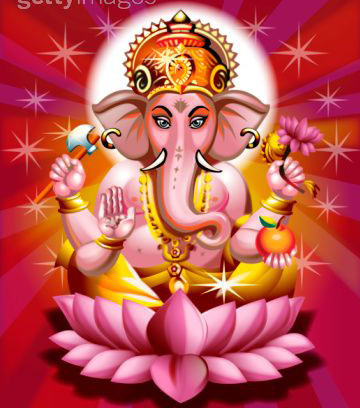 What proof is there that there is a god by the name of Ganesha and how can he ward off evil?” He is not used to this kind of rational thinking. It takes too much mental energy to think and question deep-rooted beliefs. Instead, he resorts to taking refuge in Ganesha, whom he has never met, to protect him from the unknown evil. He does not mind spending any amount of money to perform elaborate Pooja of Ganesha’s idol. He does not think twice about dumping toxic, mercury-smeared Ganesha’s clay idol into the pristine water of his well or the local river. The roots of this pervasive feeling of helplessness in the face of evil go back to three thousand five hundred years ago.Brahmanism, which was the Dharma during the Vedic period (1500-1000 B.C. E.), brainwashed people into believing that everyone was completely helpless against the irresistible force of the doctrines of the Gunas and Karma (BG: 3:5, 27, 33; 18: 59-60). This they did to bring order into a society, which was in turmoil due to successive waves of immigrant minorities mingling with the society of the locals called Dasyus. They divided the society into four great classes based on these doctrines (BG: 4:13). The doctrine of the Gunas and Karma were literally the two gods of Brahmanism. No one, they said, not even their petty gods, could defy these two forces. Those who defied this dictum were declared as deluded by Ahamkara (egoism, self-centeredness), and were shamed and dishonored in the society and condemned to hell (BG: 2:33). Over the next thousand years, Brahmanism became decadent due to its obsession with corrupted Yajnas known as Kamya Karma. The Dharma, which had been invented to bring stability to the ancient society itself, became the problem. Decadence of Brahmanism created tremendous turmoil in the society. A large section of Brahmanic society abandoned it and started various rationalist Dharmas such as Buddhism and Lokayata. During this time, Upanishadic rationalists, with the intent of overthrowing decadent Brahmanism, declared both the Gunas and Karma as evil, which one should transcend (BG: 2:45) or even slay (BG: 3:41, 43). They created a Super Man (Purushotthama, Brahman) to counter the force of the Gunas. They created a Super Weapon (Buddhiyoga, Yoga of Reason) to break the shackles of Karma. They said one could conquer these evil doctrines by taking refuge in Brahman, and by using Buddhiyoga as a weapon (BG: 2:39-53; 15:1-5). Brahmanism launched a counterrevolution and did everything within their powers to counter the Upanishadic revolution. They neutralized Brahman and Buddhiyoga by adding pro-Brahmanism shlokas in theUpanishads as well as the Bhagavad Gita. This necessitated creation of an even greater force to combat Brahmanism. This is how the real god of Hindus, Parameshwara, was invented. Parameshwara, the Great Lord, of the Bhagavathas, took the place of Brahman, andBhakthiyoga became the weapon against the doctrines of the Gunas and Karma. The ultimate shloka of the Bhagavad Gita reveals this theme par excellence: 18:66: Abandon all Dharma (Brahmanism and all its sub-Dharmas such as Varna Dharma, Jati Dharma, Kula Dharma) and take refuge in me alone. I shall liberate you from all evil (of the doctrines of the Gunas and Karma). Do not grieve (for them). Brahmanism would have none of it. They resorted to extreme editing of the text of the Bhagavad Gita and concealed the Upanishadic and Bhagavatha revolutions. They retained the doctrines of the Gunas and Karma and all the evil caused by it such as Varna and Jati system. They continued to drum in the doctrine of helplessness in the minds of people and offered various gods such as Ganesha, Hanuman, Shiva and the like to take refuge in. Even after two thousand five hundred years, we can see this pervasive feeling of helplessness against evil and taking refuge in a higher power in most Hindus even in their daily lives. If they encounter an evil official who refuses to oblige without a bribe, they take refuge in a person they perceive as more powerful to “influence” the corrupt official to do their bidding, or they take refuge in the greatest force on earth, even more powerful than any god: bribery. There is a psychiatric disorder in which we see this type of delusional thinking and consequent irrational ritualistic behavior. It is called Obsessive-Compulsive Disorder (OCD). In this disorder, the patient has a fixed belief, which forces him to indulge in fruitless repetitive ritualistic behaviors. For example, he might believe that his hands are contaminated with germs (evil) and he must take refuge in washing hands hundreds of times a day. His gods are soap and water. If he does not wash his hands with soap and water, his fear of dreadful disease would bring on a panic attack. Some time in the remote past, this patient experienced an event in which his hands were grossly contaminated by feces of an animal. He had then every reason to wash his hands very scrupulously. This event left such a bad memory in his subconscious mind that now he has become obsessed with it. Now he compulsively washes his hands hundreds of times a day, resulting in denudation of the skin of his hands. If ever he fell ill, he would blame it on his not washing his hands well enough. Now soap and water have created a new problem for the patient. Not only do his gods cost him a lot of money, but also now he has to spend money on psychiatrists and dermatologists. Careful examination of Hindus indicates that most of them indulge in some type of “fearing evil and taking refuge in a higher power” pattern of behavior every single day. There are thousands of superstitions floating around in India, and educated and well-to-do classes are as likely to fall prey to them as poor and illiterates. I know a brilliant doctor who feels compelled to move his car forward even if it is just one half inch before driving it in reverse out from his garage. His explanation is that that would ward off evil. Now his relatively more rational wife has followed suit. So, OCD can be contagious. Here in America, highly educated Hindu women exchange coconuts with other women once a year during Gowri Pooja season. If you ask them why they do it, they have absolutely no idea. However, if they don’t do it, they begin to feel very anxious. I know an educated man who unfailingly mistreated his mother during her entire life, and yet he travels all the way to India every year to officiate her annual ‘Kriya.’ If you ask him why he does it, his answer is “If I don’t do it, it does not feel right.” What he is not saying is that he fears his mom’s ghost would come back to haunt him. Taking full advantage of such disorder in Hindus, crackpot astrologers and fraudulent Swamis are inducing them to perform expensive Poojas, Yajnas or Abhishekas. Recently, here in St. Louis, Missouri, thousands of Hindus performed Kumbhabhishekam of the god in the Hindu temple under the delusion that the “power of god has diminished in the idol over the years. So we need to perform rituals to reinstall the idol and bring god’s power back into it.” Some fraud told them this and they believed him. The priests of Hinduism have succeeded in creating an Obsessive-Compulsive Religion. Look at the throngs of mindless people crowding the streets shouting, “Ganapathi bappa Morya!” Or look at the thousands of worshippers of Sai Baba pulling his chariot, while he is laughing all the way to the bank. In their literature known as the Upanishads as well as the Bhagavad Gita, the rationalist of ancient India referred to these ritual-addicted Brahmins and Kshatriyas as ignorant, fools, dullards, idiots, stupid, degraded, blind, worst among men, so on and so forth. In the case of the man we discussed above, his fear of evil has become an obsession and taking refuge in Ganesha has become a compulsion. So, if we tell this man not to worship Ganesha at all before any ceremony, he would suffer from a panic attack due to fear of evil befalling him any time, or due to fear of Ganesha’s wrath for failing to please him. The Hindus constantly find themselves in this double jeopardy. In fact, if something bad did happen to him shortly after failing to invoke Ganesha, he would certainly conclude that either the evil force has succeeded in ruining him, or Ganesha was punishing him for failing to perform his worship. Even if no evil struck him, he would constantly be looking for some bad omen (Apashakuna) indicative of some evil about to befall him. If during this period his doctor diagnoses him with high blood pressure, he would surely blame it on his omission of Ganesha Pooja rather than on his irrational fear of both the evil and Ganesha. He is so thoroughly brainwashed that he is now incapable of rational thinking whatsoever. Almost all Hindus I know are slaves to this double jeopardy predicament. 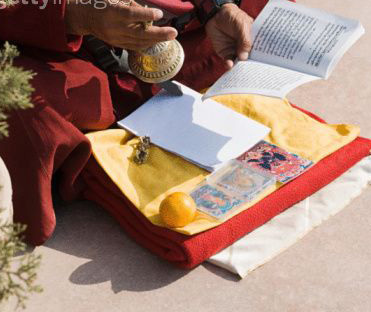 It is impossible for us to convince them not to perform rituals they are addicted to. Just as a drug addict suffers withdrawal symptoms when he quits drugs, ritualists suffer from anxiety and panic if they quit performing the mindless rituals. When it comes to their religion, most Hindus suspend their critical thinking capacities even though they put on a perfectly intelligent façade while dealing with their fellowmen. If we ask a Hindu religionist, “Why do you practice all these mindless rituals?” he might babble something like, “Oh, our Sanatana Dharma is the greatest religion ever! In fact, it is a way of life! All these rituals had great significance to our ancestors!” or some such hyperbole. He is merely repeating parrot-like whatever his elders told him while growing up. He is absolutely clueless as to what Sanatana Dharma is; nor does he have any understanding as to why his ancestors performed these rituals; nor does he ask the question, “What relevance do these rituals have for me in my present life circumstance?”This kind of questioning takes too much mental energy. He wants to take the path of least effort. Recently, when I asked a highly educated Hindu, “Who wrote the Mahabharata epic?” he shot back without bothering to think even for a second, “Was it not dictated by Vyasa and written by Ganesha?” On the screen of his unthinking mind he was perhaps visualizing a short, potbellied man with a disproportionately large elephant’s head -not to mention a golden crown on it- sitting on a small mouse and taking dictation from an old, half naked ash-smeared sage with matted hair and long grey beard, sitting on deer skin in Yogic position. If you listen to Hindu religionists’ conversations, most of what they say appears to be parrot-like utterances devoid of much thoughtfulness. Most of what they talk is so automatic that when I listen to them my head starts spinning. If rationalists are to put some sense into the heads of these religious people, simply telling them that their belief in god is a grand shared delusion, and their religious behavior is irrational, will not change them. In fact it will only harden their attitude. Rationalists must give them rational explanation with valid evidence straight from the scriptures regarding the origin of Hindus’ feelings of helplessness against evil forces and the reason for inventing god as a refuge to ward it off. Since we have no way of traveling back in time to interview our ancestors who invented god and religion, we can only depend upon dispassionate study and analysis of ancient scriptures, such as the Vedas, the Upanishads and the Bhagavad Gita, to get insight into their thinking and methods of solving societal problems. Our approach should be to review them as valuable documents, which reveal various historical events and forces, and not as religious scriptures promoting god and religion. It is like an architect studying an ancient temple to understand the origins of temple-building art taking into account religious beliefs that might have shaped the architecture. The rationalists’ formidable task is to teach the unthinking religionist to think outside the “ancient culture box.” However, this is easier said than done. Entrenched beliefs and behavioral patterns are extremely difficult to change. So, in the articles to follow, I will analyze the origin of religion and gods in India, hoping that at least one ritualist Hindu could be converted to thinking Hindu.